As I have alluded to before, if they ever made a movie about me (or more realistically if some pseudo-dramatic event in my life was shamelessly re-created for a television show in the tradition of casting actors that are much better looking than their real-life counterparts) I would insist that my role be cast by none other than the great LDP. 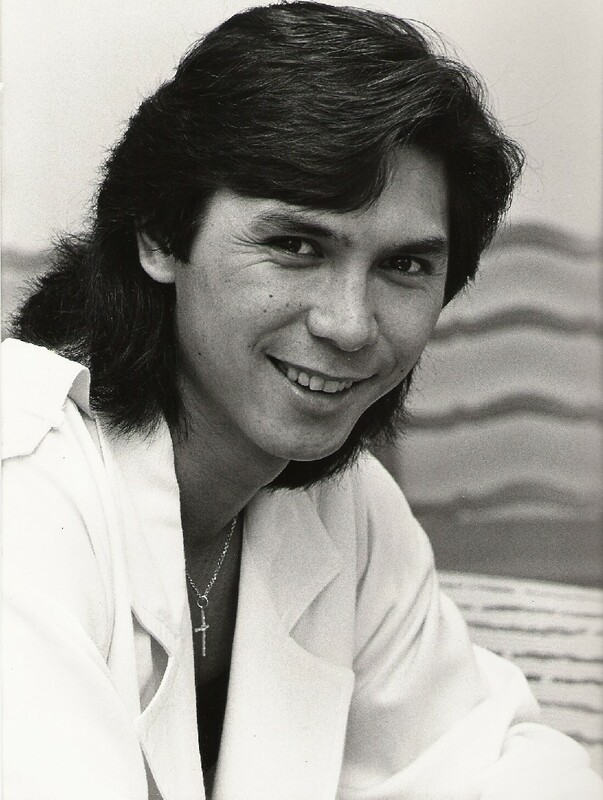 I am of course referring to the under-appreciated talents, dreamy eyes and flowing locks of the man also known as Lou Diamond Phillips, who despite his perennial casting as Hollywood's favorite Chicano and/or Mexican is decidedly (half) Filipino (like me). When I first mentioned this in a post last year I also mentioned something about casting LDP with his classic Young-Guns-mullet look and these days, when my life allows time for little else than things related to two squirming babies, that Lou-do comes alarmingly close to representing my hair, as it has been over two months since I've been to the barber. I mention this because on a truly special occasion a couple of weeks ago I was headed out of the house to do something besides visit the pediatrician, buy diapers or shop for groceries: I was headed to the barbershop. The Tonsorial Parlor (as mine is proudly named) might not seem like an exciting event for many people (those people don't have newborn twins), but even before my social life got somehow even more boring and reclusive than it was before my boys arrived, I always loved my trips to the barber-- and as it becomes a harder and harder to find real barbershops, I really do cherish my time there. Next to Obrien's Tonsorial Parlor is All-Variety Subs. All-Vs is a greasy hole-in-the-wall that used to faithfully serve the populace of the former University of Colorado Medical campus before it moved East to Aurora. It is easy to miss tucked in between my Parlor and a nail-painting place. In fact even though I come here about once a month, I couldn't have even told you if All-Vs was still open or not; and since the medical school exodus must have taken with it most of their business, I was pleasantly surprised to still see it up and running. There is nothing fancy (at all) about All-Vs and maybe nothing that would have you rushing across town to eat here, but from what I remembered, they made a solid sandwich and always stacked it high with whatever toppings you ordered. I ordered an old favorite of mine: the chicken and avocado sub with bacon. I was disappointed right from the beginning. The chicken looked like it had been out all day and re-heated on the grill more than once. It tasted that way too: dry and rubbery on the inside, tough and crusty on the outside. Also the bread was starting to get stale. On the upside, there was an ample serving of avocado (there is at least a half avocado on this sub) and it was fresh; and bacon is bacon, so that was good. Still there isn't much upside when you start with stale bread and dry chicken. Sad and disappointing that an old standby like All-Vs was letting me down like this. After leaving I got to thinking about why my sandwich was that bad. I checked the time because I had to be home soon. I was late as usual, it was already four thirty in the afternoon. I suppose stale bread and dry, re-heated chicken isn't unusual for going to a lunch place over two hours after the lunch rush ended-- especially when that lunch place has lost most of its business over the last few years. I vowed even with the little time I have left for myself lately, to return. I hate to hate on a place after only one visit. I'm glad I returned. It was a quick stop on a weekday right at noon when my wife and I were passing by on our way to Target or some other baby-supply-having place. I was right about the lull left in place from the medical school move: when years ago there was a line out the door, now there was one lone diner in the far corner munching on some chips. No one else came in while we were ordering or waiting for our food. This time I got the Avocado Gobbler sub, which is just like the chicken sub I had earlier but with turkey slices. It too came with a generous amount of fresh avocado and big chunks of bacon. Everything was fresh this time and I smashed down the overflowing toppings, cramming it in my mouth and absolutely devouring my half in the time it took me to walk back to the car. That is the All'V's I remember: copious use of fresh ingredients, good flavor combinations and good value (this sub is less than five bucks). The fact that the bread wasn't going stale was a bonus too. What I also like about All-Vs are the old-school condiments on the sandwich counter. After they call your name but before they wrap your sub in sandwich paper, you have the choice of red wine vinegar, olive oil, parmesan, crushed red pepper, oregano, salt and black pepper. I sprinkled on some vinegar, parmesan and oregano on the Italian sausage and meatball sub we ordered before they wrapped it up to go. This sub made it to the car before I got my mouth around it. Satisfying, big chunks of meatballs and an entire Italian Sausage made up the majority of this sub; the former moist and homemade-tasting, the latter flavorful though not spicy in the least. All of it covered in a good marinara sauce and melted mozzarella. Now keep in mind I am not necessarily endorsing that you drop everything and make for All-V with any sort of quickness, but I will say that this is great, albeit more or less forgotten little sub shop that I would venture to say most of the time still makes a worthy lunch. With the economy how it is and the fact that business is slower than ever at All-V's, I will continue to avoid the off hours in the future as (who can blame them) they stretch their bread-buying dollar further. That being said, if you too are feeling the effects of the economic downturn your dollar goes far here, and if you find yourself around Colorado and Eighth with a hankering for lunch, skip the rest of the chains you will find around there and give All-V's a try. I lived in Denver back in the 80s while I was attending Denver University. I lived near campus and had no car, so I walked everywhere including a nearby All V's. Best subs ever. I live in Michigan now but have been desperately seeking an online listing of their menu so I can recreate my favorite sandwich. I can not remember all the ingredients, but I am sure that it had avacado and egg. Can you help me? Anonymo - I don't know if I've had an egg/ avocado combination but the best thing about their avocado subs is the insane amount they put on them. I will check it out sometime soon, as I love egg on my sandwich. Plus I'm due for another haircut soon. Any luck on that recipe? You must have gotten a hair cut by now. My bad. Avocado and Egg. I'll do my best to remember. I just tried All v's last week thanks to a friend's suggestion and this post-- it was great. And, it's in the neighborhood so it's sure to become one of my go-to quick lunch spots. thanks for the post! As for the Avocado and Egg sandwich. I asked when I was in and they said it has avocado, sauteed mushrooms and swiss cheese wrapped in a fried egg. And, of course, it includes their regular toppings as well. Hope that helps you recreate it:). thanks modern kitchen... I remember now the mushrooms and cheese plus more and am wondering what the "regular toppings" include. It's been a good 30 years or more and my memory ain't so good. There were once a number of All-V's locations around town. Up to a few years ago there was one at University and Evan (south side of Evans, headed west). I think there was another on Alameda, near Navajo, and another on East Colfax. I was surprised to see that one still exists, and will visit -- I used to go quite a bit, but never to that location.